Lisbon or Lisboa as the locals like to call it may in fact be the Chiang Mai of Western Europe. The weather is good all year round, the costs of living are cheap and there is great wifi. 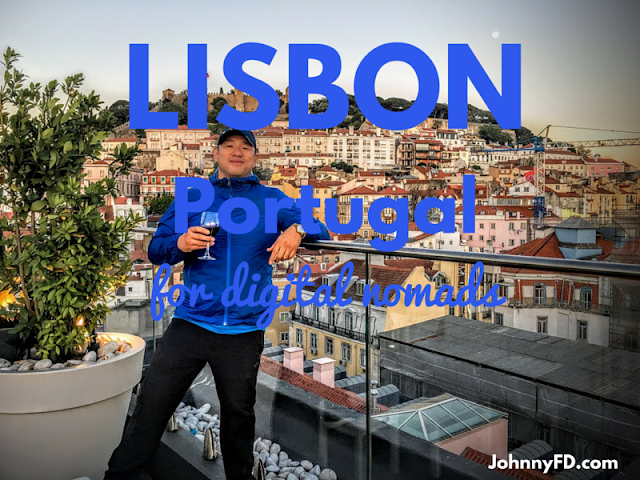 I've been looking for the perfect place for digital nomads to relocate to if Thailand ever stops welcoming us, and I think Lisbon, Portugal may be it! In this post, I'm going to break down the costs of living, things to do, where to stay, and why I think Lisbon may be the place for us to relocate to after Chiang Mai. Here is my travel and nomad guide to Lisbon, Portugal...the next big Nomad hotspot! 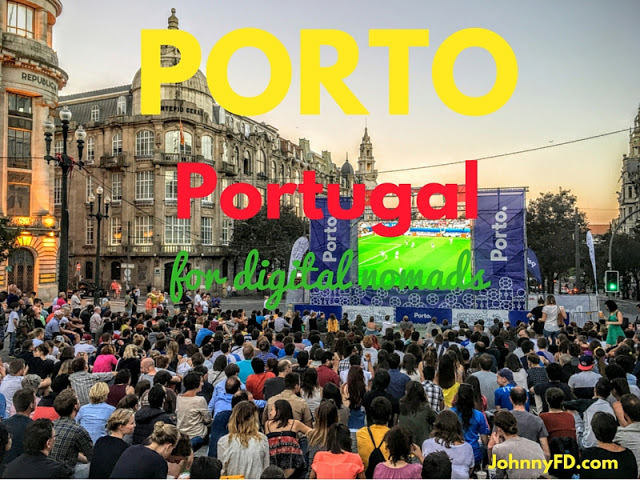 This post has been updated for 2019 as well after coming back to Lisbon for a 2nd time after the Nomad Cruise 8! From Chiang Mai I had to fly first to Bangkok, then to Amsterdam then to Lisbon. Overall it was a pretty easy flight especially since you can break it up in Holland for a few days first if you wanted to sight see first, but even flying directly from Chiang Mai, I wasn't too exhausted as you can do it in a day. But the best part of getting to and from Lisbon is the fact that it's a direct flight to places like New York, pretty much anywhere in Europe, and even Brazil! If you're based in the East coast and want to be able to get to and from Lisbon back home for the holidays or a wedding, Lisbon is a 7 hour direct flight back to places like Washington DC and New York and it's a direct flight to Miami as well! I can see myself being based out of Lisbon if I wanted to travel more of Europe on weekend trips or if I had family in New York. As for getting around, Lisbon is full of public transport from trolleys, buses and trains. They also have one of the world's best Ubers as drivers are quick to pick up, it's super cheap and reliable. Unlike places like Vietnam where Uber is terrible, or places like Austin where Uber and Lyft no longer exist, here in Lisbon it's my favorite way to get around aside from walking which is also really nice here in the city. 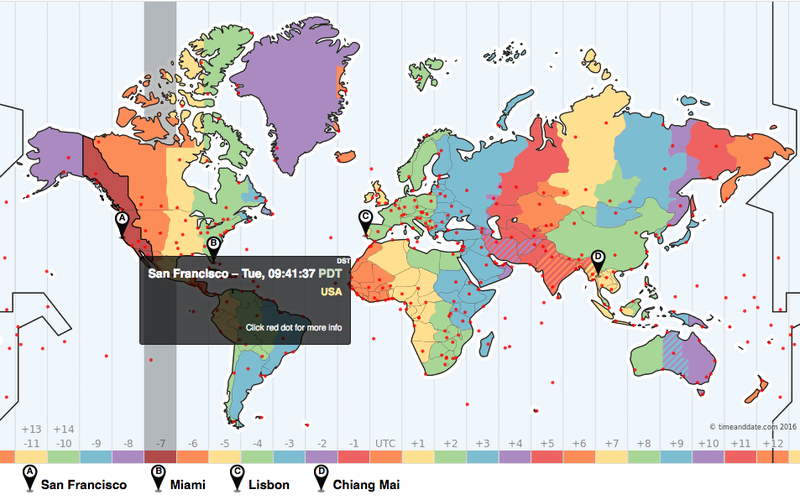 If you're a freelancer or if you're calling suppliers to setup your dropshipping store, you'll be happy to know that the time zone in Lisbon is way more manageable than Thailand. If you wanted to work on U.S. time, you could start working at 2pm in Lisbon which is 9am East Coast time and be done by dinner since people in Portugal generally eat late and go out later anyways. The typical nomad working schedule in Lisbon may be waking up at 9:30am, going to the gym, having lunch then working from around 2pm-8pm which is usually when people start even thinking about having dinner. The crazy thing about Portugal is that it's pretty common, especially during the summer when the sun doesn't start setting until 9:30pm to have dinner around 10 or 11 a night. Currently it's 5:40pm here in Lisbon and 9:40am in San Francisco. That means that if I needed to call anyone in the U.S. i'd be done by now as I could have started calling people on the East coast 3 hours ago and my suppliers on the west coast an hour ago. If I were still in Chiang Mai, it would be almost midnight and i'd be trying to power through. Being in a more favorable time makes dealing with dropship suppliers, customers and even scheduling podcast interviews a lot easier. I honestly thought I'd hate it as I enjoy waking up early, but with this much day light, it doesn't feel like I'm missing out waking up later and going to bed later. I've only been in Lisbon for two weeks but have already gotten a pretty good idea of the neighborhoods as I've stayed in three different ones so far and have visited most of the others. The heart of the city would be the Chiado and the Bairro Alto areas which is the heart of the shopping districts, cool places to live, eat, drink and where most of the tourist attractions are. As a tourist, you'll want to stay in this neighborhood as it's where everything is located. I stayed at the Oasis Hostel which is a super social hostel both dorms and private rooms in probably the best location in Lisbon. The second time around after the Nomad Cruise, i'm staying at Selina Lisbon which is the coliving and coworking chain first started in South America that's growing quickly worldwide! If you're looking to stay in Lisbon for more than 1 week, I'd look into getting an AirBnB or finding an apartment just outside of the heart. I stayed at my friend Shannon and Alexis' place in the Santos area my first few nights and really loved that neighborhood as it was only a 15 minute walk to everywhere cool but was quiet, had great local restaurants, and everything was cheaper. It' would most likely be my go to neighborhood to live as it's the best balance of location and price. If you're looking for an even trendier and cheaper neighborhood which is where Cowork Lisboa is located check out the Alcantara area near the LX Factory. It's like the Brooklyn of Lisbon and would be a really cool place to live as they have a farmer's market here every weekend, tons of cool restaurants, and even though it'll be a 40 minute walk to the city center, it's only a 10 minute bus or $6 uber ride away. Travel Tip: Don't stay or eat in Baixa which is the downtown area of Lisbon unless you want to overpay. Depending on how long you're staying and how hard you're balling out, you can bootstrap in Lisbon for as little as $1,000 a month or really live it up with a nice European lifestyle for less than $2,000 a month. In the peak summer months dorm rooms are $20 a night while private rooms are around $60 with entire AirBnB apartments going for around $75 a night which you can easily share. The real Nomad way to do things would be to rent your place of living monthly instead of by the night so you can find a place for between $380 a month for a room in a shared townhouse to on average $750 a month for a 1 bedroom near the city center saving you a ton of cash. Food usually costs around $6 for lunch and $12 for dinner. Wine is excellent in Portugal and super cheap at around $3 for a decent bottle in markets or for $10 in a restaurant. Overall, living in Lisbon will be half or less than in other major cities for the same high quality of life. Compared to Chiang Mai, you'll end up spending between 10-30% more but your lifestyle will adjust accordingly as you'll be having more of a Western/European quality of life. Travel Tip: Plan to come to Lisbon starting Feb 15th when burning season starts in Chiang Mai. The food in Lisbon is amazing. Just look for any local portuguese restaurant that doesn't have someone at the door trying to convince you to come in (avoid those places) and you'll probably have an incredible meal for a great price. Things to look for are handwritten daily specials on a piece of paper in the front of the menu as those are items that were selected from the market that morning and a bit of rudeness when first walking in. Restaurants with really amazing food are usually too busy to care if you go there or not so they often make you stand around lost for a minute before seating you and giving you a menu. Tourist traps with lower quality, higher priced food often come with high pressure people at the door. The Chiado neighborhood has great restaurants even near the touristy squares, just avoid the ones with touts. My favorite places include super basic places you'll walk across everywhere like Restaurante Sardinha that has food for $5 and really great house White Wine for $1.50 a glass but also nicer places like Cafe Lisboa which has $20 plates by a 2 star michelin chef. The easiest place to go and get a wide selection of good food is the Time Out Market the food hall has thirty or so places to choose from and most are really good. However, make sure you don't go there every night out of convenience as for the same price you can get better food and a more authentic experience going straight to the main restaurants. Travel Tip: Learn how to say thank you in Portuguese which is "obrigado" if you're male and "obrigada" if you're female, regardless of who you're speaking to. The Portuguese HATE it when you say "Gracias"
For dessert you'll want to make a trip to Pasteis de Belem, the oldest pastry shop in Portugal which is the birthplace of the egg tart called Pastel de nata. If you go make sure you walk all of the way inside past the restrooms and eat the pastries there instead of taking it to go. Another really good place in the heart of Lisbon and possibly tastier than going to the original in Belem is Manteigaria Fábrica de Pastéis de Nata. Although ironically neither place is as good as Lord Stow's that I wrote about during my trip to Macau. Dining Tip: As part of tradition restaurants will bring you bread, olives, cheese, appetisers such as octopus salad without you asking, it's not free. You can just politely push it aside or say no thanks (não, obrigado) and you won't be charged for it. Also you can and should ask for tap water instead of bottled as it's perfect safe to drink and wastes less plastic. I checked out two coworking spaces while I was in Lisbon the first was Fabrica de Startups where I gave a talk about multiple streams of passive income hosted by Rosanna Lopes. It's an awesome building that is more of a startup incubator than coworking space, but I love the fact that they have an event space that they let digital nomads use for free as well as weekly meetups. At only $84USD a month for a flex desk it's also the cheapest of the coworking spaces I've visited in Lisbon. The second place I tried out was the one I really wanted to like as it's in a really cool area called the LX Factory where they have tons of trendy restaurants close by. Cowork Lisboa turns out to be just okay and a bit too black and dark for me to want to work out of everyday. It's a bit strange as they have huge windows just on one side that almost let in too much light so they close them and don't turn on any of the overhead lights. They're in a great area and have a meeting room with soundproofing foam on the walls which is perfect for recording podcasts. Unfortunately the meeting room was ultra dark even with the light on. For $111US a month for a flex desk membership it's a great value. One space I didn't have time to check out was Liberdade 229 was is just a bit north of city center right by Fabrica de Startups. I didn't have time to check it out this trip, but it's worth a visit as I like they have meetups and events. The only thing I wish they would change is swap out the Nespresso pods for ground coffee as digital nomads wasting one time use capsules and money. For 2019 I'm here at WIP which is the coworking space used by Remote Year. I did have time to check out Cowork Central which is in the best location if you want to be in the city center as it's right by the Time Out Market and within walking distance to everything. Overall it was my favorite coworking space in Lisbon so far as besides the central location, it also seemed to be the most social. As a plus for me as a podcaster, they also have two separate rooms, a usable skype room (edit: too much echo) and a conference room which they give every member access to for an hour a day. They also have cheap food close by as well as the Time Out Mercado which is a local fruit and vegetable market as well as restaurants. At $211USD a month for membership it's also the most expensive, but you do get a fixed desk, free coffee (unfortunately also wasteful pods) and central location. The best thing about coworking spaces in Lisbon is they all give your first day as a free trial so there's no reason not to go check them all out and decide for yourself which one you prefer. Coworking spaces in Portugal just need to figure out how to use Aeropresses or traditional coffee pots instead of Nespresso machines. Aside from coworking spaces, most digital nomads I've met in Lisbon seem to work from their apartments or from a few random cafes. Hopefully as the community grows so where the presence of coworking. Currently there are a few people here and there but it's still a bit scattered unlike Chiang Mai where it's still the easiest place in the world to meet 30 other digital nomads on your first day in the city. Overall wifi is great in Lisbon. People have fast connections in their apartments, the coworking spaces all had good connections and you can get wifi t a lot of cafes. I also picked up a $16 sim card through MEO which gave me 4gb of 4G data and the sim card itself good for 30 days. It's a must pick up if you are going to be in Portugal for more than a few days. The nice thing is as of 2018 you can use any EU SIM Card such as one you picked up in Spain or Germany and get data here in Lisbon as well. You'll want to use Uber pretty often so having data on your phone is a no brainer especially since it's only $16. If you have a locked cell phone, stop being an idiot and get an unlocked one. Smartphone makers like OnePlus sell unlocked Android phones that you can use worldwide and if you want an iPhone, just get the one by T-Mobile which comes unlocked. Travel Tip: If you are based in the U.S. but travel internationally a lot, check out Google Fi which is like a faster version of T-Mobile's international data roaming plan. If you're only in the U.S. for a month a year but want to keep your number, check out AT&T's $2 a day plan (free on the days you're not in the U.S.), which is what I use. 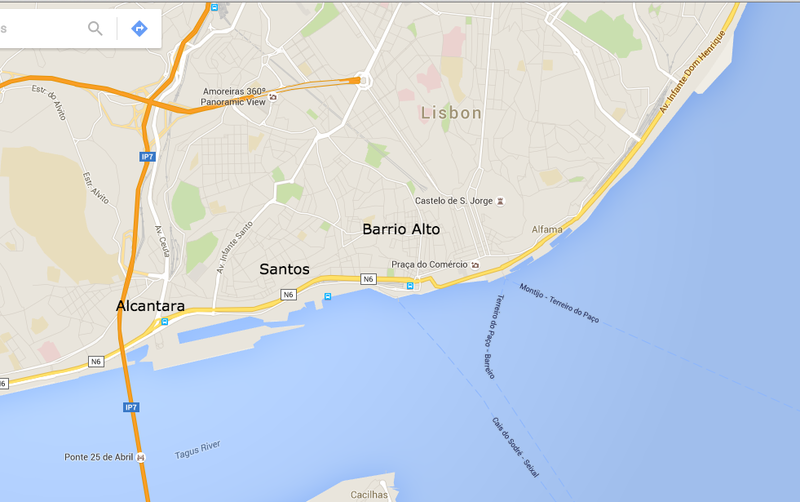 If you want to know what it's like living and traveling in Lisbon, watch this video. It's filmed to be one long crazy day even though in reality it was actually bits and pieces of an entire week, but this is how life in Lisboa feels everyday! It's been a few years since I've made this travel video and I've been to a ton of countries since, but it's still by far my favorite! It really shows what it's like to travel and do all of the awesome sights here in Lisbon, Portugal. The very first thing you should do is go on a free walking tour. They have them 5 times a day through different companies at different times and all you have to do is tip them between $5-$10 at the end of the trip. It's a great way to see the sights, learn some culture and meet other travelers. I went with one arranged by Oasis hostels which was one of my favorites as the guide made the walk really informal and spontaneous. If you want to learn more about history, I'm start with the one by Sandemans as it's the best run. Depending on what time schedule and meeting points work best for you, or if just want to try out a few different companies, also check out Pancho and Chill out as they're all worth doing. Personally I went on 3 different ones and learned something new and enjoyed each of them. There are great beaches within an easy train ride away if you want to get out of the city and go surfing or kiting for a weekend. If you can find someone with a sailboat, they have regatta races every week in Lisbon. 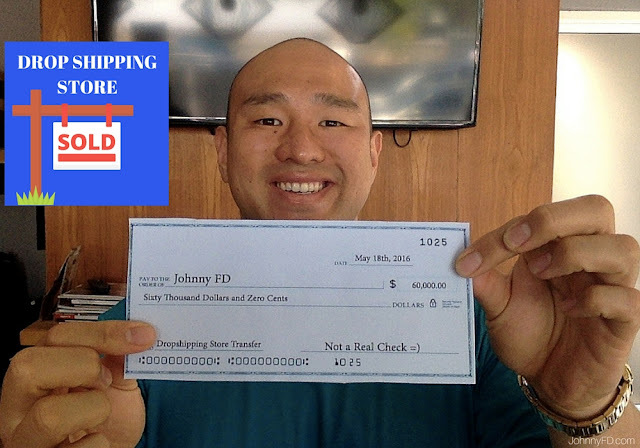 The trick is, look in ads online for people looking for sailing crew as the boat owners are always looking for people to help out, that's how my buddy Luiz first met the owner of the boat. There are tons of places to visit but my two favorites were Saint George's Castle and the Sintra Royal Palace. The tower in Belem was also worth a visit especially since you can just take a train to tram to all of these places as a half day trip from Lisbon. Since I scuba dive and love fish life, I had to check out the Lisbon Oceanarium which was possibly the nicest aquarium i've ever been to and definitely worth visiting. The place isn't huge and can be seen in 1-2 hours but if you really take the time to look into the main tank from all four sides you'll find some amazing fish life. One of the best things about traveling to Lisbon or anywhere in the EU is the fact that if you're from the EU you can just stay there indefinitely without a Visa, including those from the U.K., at least until Britex actually takes place and if it does. If you're from a lot of other countries including Americans, Canadians, and Australians we automatically get a 90 day visa just by entering. The only downside is we can only go 90 days every 180 days. Which means if we go from Feb 15th - April 15th, we can't go back again until July 15th or so. Good news is that there are a few easy solutions which we talk about in depth in Episode 120 about the ease of getting EU residence, golden visas and even getting a second U.S. passport and making visa runs. Download the episode on your favorite podcast app on your phone or stream it from the site. Check back on this post as I'll be updating it with more detail, but so far, Lisbon has been an incredible place that I feel like would be the rival to Chiang Mai in Europe. 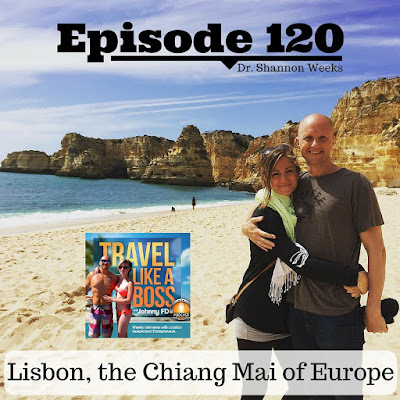 Take a listen to episode 120 of the Travel Like a Boss Podcast: Lisbon vs. Chiang Mai to see the pros and cons of living and working here as a digital nomad. Most countries get 90 days in Portugal without needing a visa which makes it super easy to come for summer or to escape the Chiang Mai burning season and even though it's more expensive than Thailand, you get to live a really amazing Western European lifestyle for maybe 1/3 of the price of living back home on average. Even cheaper is the city of Porto in the north but Lisbon is definitely the hot spot for nomads at least for now. The weather here is great as it's sunny and warm in the summer but doesn't get to freezing even in the winter. July is the hottest month in Lisbon with an average temperature of 24°C (74°F) and the coldest is January at 11°C (52°F) which is like a better version of San Francisco but again at 1/5 of the cost of that city. If you like San Francisco you'll love Lisbon as they feel really similar. I'll definitely be heading back to Lisbon again and there is a 70% chance I'll be living there for at least a few months or longer next year starting February 15th to escape the burning season in Chiang Mai. I love how friendly everyone is and the fact that it's super safe. It's probably as safe as Chiang Mai and even women walk around alone at night without issues. I hope you love Lisbon as much as I did. Leave a comment below if you have any other tips, tricks or questions about Lisbon or Portugal in general. Lisbon seems like an interesting place, but I've got to tell you that for about the same price ($1K to $2K monthly) you can live comfortably in plain old non-exotic Buffalo, New York. Not my favorite place, but it has some good points. Is it pretty inexpensive to travel to other parts of Europe from Lisbon? Super cheap! 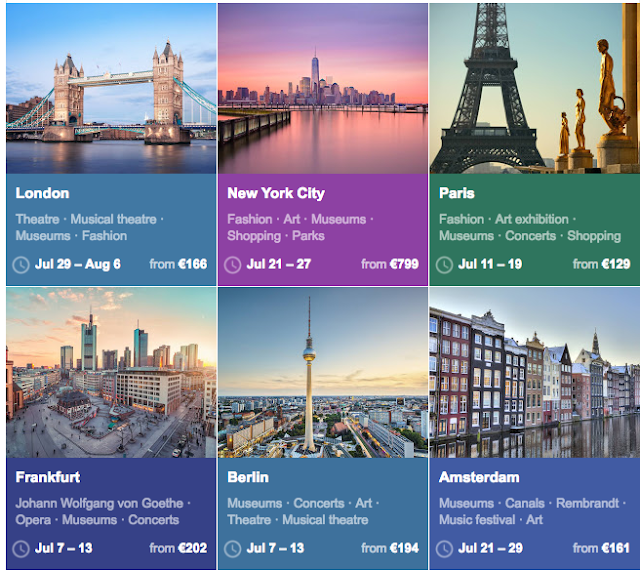 Can you fly to France for as low as $22 and to other parts of Europe for less than $100. Good writeup man. Lisbon's on my watchlist for next year so good to see a nice nomad report on the place. Glad you enjoyed it! I think Lisbon is going to be the next hotspot! I watched the Youtube video. OMG!! I thought that I'm watching Casey Neistat!! Nice! That's a bit compliment, glad you enjoyed the video! It took me all morning to make but I feel that it really gives you a sense of what life in Lisbon feels like. Glad to ear that you've been in Lisbon for a while. I live there from September to June (it's where i'm studying) and now Im 3 months near de wonderful beaches of the silvercoast. 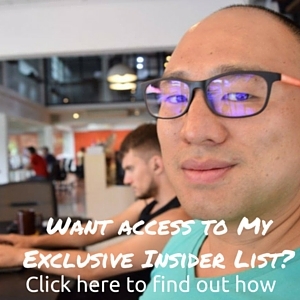 I started the Anton's course pretty much because your interview with Sean Lee a while ago and so knowing that you're living a digital nomadic life so near,makes me pushing trough the adversities and make my first store really happen! Hey André awesome journey so far! If you ever get stuck, feel free to ask me anything inside Anton's private member forums! Would it work out cheaper to have permanent place in Chiang Mai while going to Lisbon for a few months even though you are paying double rent? so do you Airbnb your place in Chiang Mai while you're gone and create another income stream? I'm just letting a friend take over and stay at my place while i'm gone. 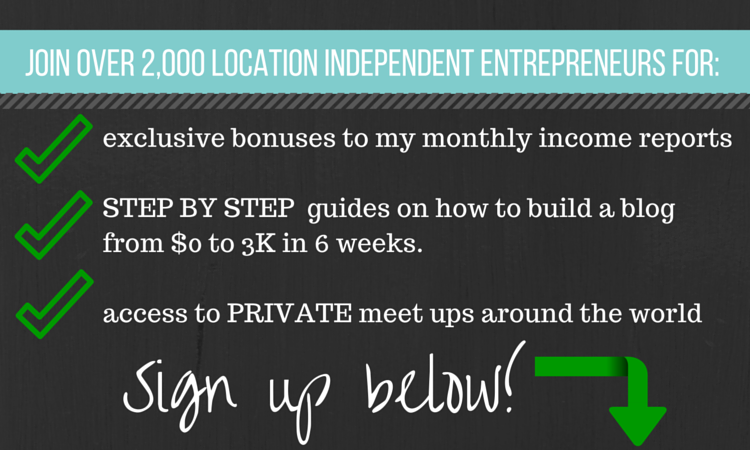 But the AirBnB route works for sure and you can even make some additional income from it. Yes, Portugal is a great place to live! My wife and I live in Chiang Mai and spent a month in Portugal. We fell in love with the country, people, food, wine, clean air, pedestrian friendly setup and very good long term apartment rentals! Braga, Guimarães and Porto, in the north, are special places to live... even cheaper cost of living than Lisbon and beautiful cities. Yup agree 100% I'm going to write up a post about Porto as well as it's also a great destination. Great article! Very inspiring. Can you give some insight into maximum length of legal stay, visas, as a non working tourist? I work for a U.S. Company and would love to have an extended stay in Lisbon, how long could I stay? And any insight into renewing Visas would be helpful. Glad to see you in lisbon. In fact, it's true - Lisbon it's an amazing place to live. In 40 years of my life I lived in more than 7 countries, and I am currently living in Portugal, sintra (20 minutes from Lisbon), and I'm thinking of stay here permanently. Fantastic food (but francesinha is too "heavy" eheheh), nice people, good weather throughout the year (40°C on this moment!!!) and one of the safest countries in the world (like Switzerland). The cost of living is affordable compared to many other countries of Europe, but Lisbon it's becoming expensive. I can't remember as it was two years ago, but I think I mainly worked out of my apartment as it was kind of a pain to walk up and down hills to get to a cafe =) So it was either coworking space or home for me. But if anyone knows of any good ones, be sure to let us know here!